Auto Components Northern Ireland Strategic Partners...... Our success depends on the very close relationship we have built over the years with our key partners. As one of the prominent leaders in Original Equipment automotive parts manufacturing - focusing on Clutch & Waterpumps. rebuilders and have unique and patented design. This way the lifetime is really long, and their product final quality is very reliable. 8 boots and covers 99% of the carparc. development. Today, it provides quality parts to the world’s leading car manufacturers and the aftermarket. and safety footwear for professional users. The range expanded throughout the years from the sole production of professional hand tools to a line that today meets all the requirements of any modern and efficient plant: tool assortments, containers, wire rope accessories, pneumatic tools, safety footwear and workwear – more than 10.000 quality coded items. provides the automotive aftermarket with highly accurate parts, technical and information solutions for more than 160 different types of automotive components. and European aftermarket, with over 100 years history of engineering excellence and OE pedigree. systems for the automotive and other important industries. Denso Europe B.V.'s dedicated Aftermarket and Industrial Solutions Business Unit is one of Europe's most respected suppliers of automotive parts for the aftermarket. Elring ideal supplier for professional engine repairs. Elring can provide a comprehensive range of gasket sets, gaskets, service parts and sealing compounds to suit all market requirements. 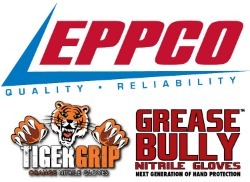 Eppco is an experienced mechanics tools manufacturer, specialising in Nitrile and Latex Disposable Gloves, Mechanics Fender Covers, Tool box Drawer Liner and other Mechanics Accessories. Founded in 1980, they strive to produce quality EPPCO branded and Private Labelled products that their customers can sell with confidence. They are a flexible manufacturer that can custom tailor a product program to fit your needs. Eure!Car is an initiative by Autodistribution International, with headquarters in Kortenberg, Belgium. The Eure!Car program contains a comprehensive series of high-quality technical trainings for professional repairers, which are given by the national AD organizations and their parts distributors in 29 countries. Exedy Clutch Europe Ltd was established in 1990 with the objective of supporting both the OE and aftermarket sectors in the UK and Europe. EXEDY Clutch Europe Ltd is based in Runcorn, England, distributing EXEDY, EXEDY Racing Clutch and DYNAX products to the whole of Europe, North Africa and Russia. Exide Technologies, with operations in more than 80 countries, has the products and services to meet the world's stored energy needs in transportation and industrial markets. 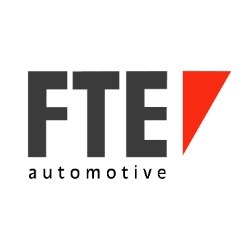 Febest Europe Distribution is an official sales representative of the auto parts manufacturer Febest GmbH (Germany) and the only official Febest car parts distributor in Europe. Febest GmbH specializes in the production of car suspension and chassis spare parts. Febest Europe Distribution offers the entire range of Febest products on the European market. Febest has no competitors in the world in the breadth of assortment in the "rubber" category of automotive spare parts ("bearings", "body elements", "braking systems", "clutch systems", "cv joints" etc.) and at the same time is actively developing other production areas. The aftermarket production of Febest, whose high quality is confirmed by the ISO 9001:2008 certificate, covers the most popular car makes and models, primarily Japanese and Korean, as well as European and American. Since the summer 2015, the Febest products have been represented in the popular European spare parts catalogue TecDoc. As a trendsetter in the independent aftermarket, Febi Bilstein’s stated goal is to always be among the first on the market to incorporate new product developments into its own range of products. We are not only a supplier, but are also making our mark on the market as a manufacturer with our “Made in Germany” solutions. This diversity of our product range is rounded off by our febiplus programme. 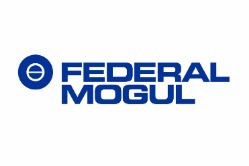 Federal-Mogul Corporation is an American developer, manufacturer and supplier of powertrain components and vehicle safety products. The company’s wide variety of products are used by numerous original equipment manufacturers around the globe, as well as servicers of automotive, commercial, aerospace, marine, rail and off-road vehicles; and industrial, agricultural and power-generation equipment. company has a proud history of technical innovation and product development. 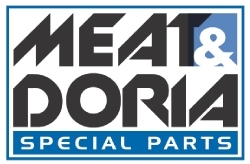 The provide quality brake parts to the world’s leading manufacturers and the aftermarket. cars and commercial vehicles worldwide. with safety in mind, the power to stop is everything. known only for its winter products such as screenwash and antifreeze. The makers of the toughest cleaners on the planet. GSP Automotive Group, as the leading automotive transmission parts manufacturer for global OEM and aftermarkets, was established in 1985. In conjunction with our OEM business, HKT always offers their customers precisely up-to-date information based on a success at global aftermarket business. The highest service can be provided only by HKT. Reaching out every corner of the world by "HKT" brand. technology available in creating lubricants for today’s cars. commercial vehicle & heavy commercial vehicle parts, supplying 'OE' and 'OE Quality' parts to the motor vehicle industry. strong business in selling its diverse product range to the general public. quality products and to outstanding service performance. 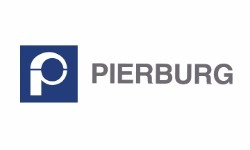 The world's largest supplier of shock absorbers. every week. KYB Europe GmbH provides world class product quality and customer service to the aftermarket in Europe, the Middle East and Africa. KYB Europe is based near Dusseldorf, Germany, and together with its 6 branches supplies shock absorbers and coil springs to the European aftermarket. 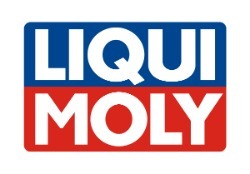 Liqui Moly GmbH is a German company specializing in oils, lubricants and additives and was founded in 1957.
distributor of electric spare car parts. continues to evolve and set new standards in aftermarket quality and performance across its product range. large selection of lighting accessories. product range covers almost all applications of cars, vans and trucks. Manufactured with the finest clutch materials, and engineered to prevent slippage. Noel Eakin and sons sell quality number plates at competitive prices. manufacturers put their trust in our expertise. The majority of vehicles in Europe today are equipped with NTN-SNR technology. cars around the world comes equipped with Philips lamps. advancing the development of the automobile. international motor vehicle producers and engine manufacturers. Established in 1979, Polyco has grown to become one of Europe’s largest technical glove companies with market leading positions in the Industrial, Medical and Consumer hand protection sectors. beading technology, Wiper Bladesand Glass Cleaners; Rain‑X® leads the automotive aftermarket in glass care. ahead of Mother Nature on the road. market for over 40 years. or specific fasteners for automotive equipment suppliers. Revive treatments are safe water based, non toxic, non corrosive and non flammable fluids, using technology developed and used for the cleaning and maintenance of aviation jet engines, power station turbines, large marine diesel engines and now automotive engines. The treatment is sprayed into the vehicle’s intake system before the turbo inlet whilst the engine is running. As the fluid passes through the engine, the active ingredients lock on to built up oily/carbon deposits and strips away surface layers. These tiny carbonised particles are no larger than the soot particles the engine naturally generates, making the process safe for vehicles fitted with catalysts and filters. original equipment manufacturers and the spare-parts market. European market including models from the 1980s and forward. a large number of industrial applications. service, ensures our distributors have the complete package. Sidem is a leading European designer, manufacturer and distributor of steering and suspension parts for the car assembly and replacement market in the automotive sector. Thanks to the focus on its own production facilities, advanced technical knowledge, year long experience and continuous optimisation, Sidem is a specialist offering a wide range of steering and suspension parts of the highest European quality. your blown head gasket it comes with a no quibble lifetime money back guarantee. automotive air conditioning systems for trade and for the end user. rear view, suction, blind spot and tow mirrors. driving force in the global automotive aftermarket. 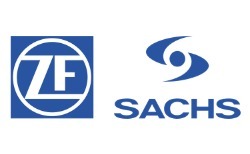 subsequently has been renamed ZF TRW Automotive Holdings Corp.
lines to meet the ever changing needs of both car consumers and the automotive industry, setting the new standard in shine. product range is the most extensive out of the ranges of any other filter manufacturer and covers all types of filters. than 100 countries around the world. We are a leading international supplier of automotive electronics & mechatronics. commitment to precision and passion for technology: the invisible, yet undoubtedly optimum requirements for guaranteed product quality and an internationally valued service offer.